Da Couch Tomato: Hey, Joe! What Next? By far the best Joe movie is an anime ─ G.I. Joe: Resolute. And that is not surprising. Anime versions tend to explore the more adult-bent, while live-action Hollywood is more on securing a larger, family-friendly fan base. That, and because cartoons are far easier produced and distributed. Evidently, while The Rise of Cobra more than successfully stirred some old and dormant Yo Joe! energies, the sequel Retaliation managed to bring it all down by relying on bad-school sequel-for-the-trilogy-in-waiting tactics. While all these were going on, the Snake Eyes and Storm Shadow story arc seemed to be keeping them all in place. 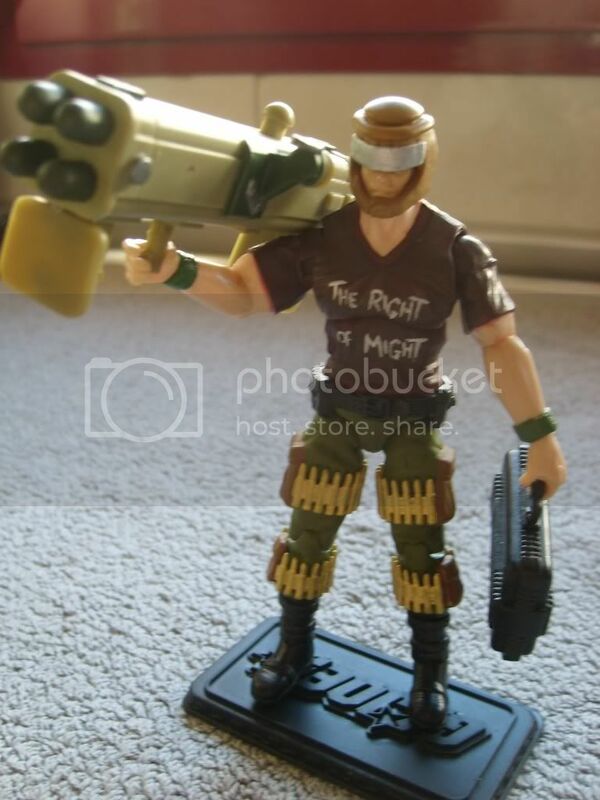 (I remember my first of only two Joe action figures back in the day. Guess who? He had a companion white dog Timber here, and it was the best issue my mum's money and my constant prodding and crying could buy. It kinda broke easily in the end. *Sniff* The second toy doll was Salvo. He mostly resembled Roadblock in Retaliation. Except that Salvo was white.) My only guess as to why the ninjas prefigured in all these is the same as when I was a kid ─ they are wildly interesting. But Snake Eyes was not in the same light as he is in now. In the animated series, he was mostly in the background. And him being mute added to his place among the other Joes. However, the franchise has grown, and capitalizing on its strengths is but a natural course of action. How this "capitalizing" was carried out is a mixed bag. A mixed bag of nuts. Like these guys. In Resolute, you also don't have hoarding of Joes. You can have as many Joes as you want there, and you never have to suffer from lack of characterization or style. Where Hollywood falls short in casting, cartoons make up for in highly executable imagination. It's quite ironic in fact, because it would seem that the same stakeholders are bringing us these apparently conflicting styles. The technique probably lies in whether one is capable of seeing beyond or behind the commercial structures, so that one is finally made available to the meaty stories. Because, after all, it is all about what kind of story is out there. Because the bad stories are certainly out there doing their goddamn jobs. (And) We certainly need antidotes. You may also want to read Sting Lacson's review of G.I. Joe: Resolute.